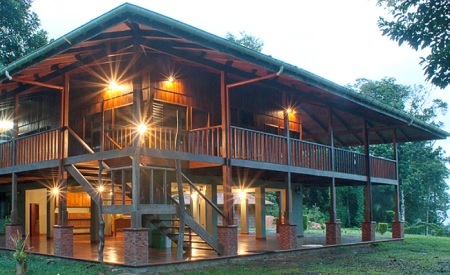 Finca Luna Nueva, Sustainable Rainforest ECOLodge in Costa Rica! Bid Per Night and Choose Your Length of Stay in a Casa Luna with Breakfast and Farm Tour! 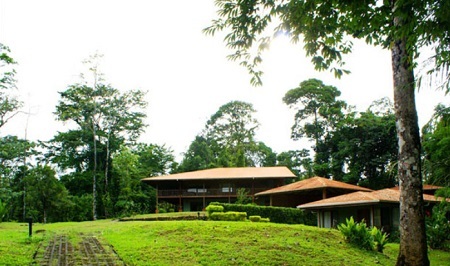 Sustainable Rainforest ECOLodge in Costa Rica! Finca Luna Nueva Lodge is a sustainable rainforest eco-lodge hotel, offering an intimate experience of primary rainforest together with a certified organic biodynamic farm and also we have Certification for Sustainable Tourism in Costa Rica. We began farming here in 1994, planting and harvesting organic ginger and turmeric, and promoting sustainable agriculture and conservation in the local community. In 2003 we decided to take our promotion of sustainable practices to the next level by building several beautiful eco-lodges using fallen timber from the farm. Since then we have added a 50 foot high observation tower, a solar heated Jacuzzi, an ozonated swimming pool, and a handicapped accessible rainforest trail. Now you can experience the Costa Rican rainforest, learn about our farm's sustainable practices and relax in our rustic yet luxurious accommodations. 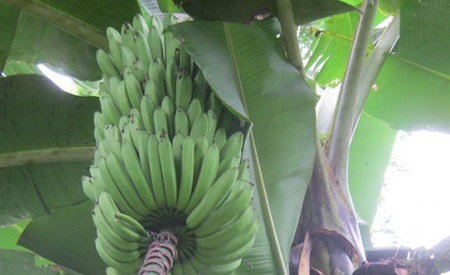 Walk through well-groomed rain forest trails on our guided farm tours and hikes, eat gourmet meals prepared from our fresh organic garden produce, and witness the majesty of the Arenal Volcano. For adventure activity enthusiasts, we are located only 35 minutes from La Fortuna, the adventure capital of Costa Rica, and home of world famous Arenal Volcano. La Fortuna is a must see destination for anyone seeking a thrill, and our experienced staff will be more than happy to schedule all of your activities and tours for you. Offer is based on single or double occupancy in a La Casa Luna Room for 2 with Breakfast! 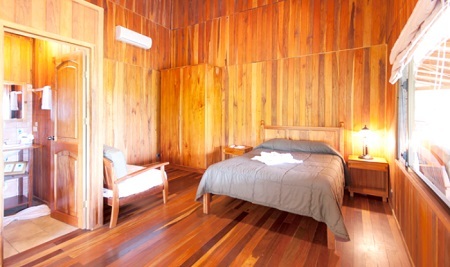 Casa Luna has 3 spacious rooms, each with a private bathroom with hot water. Three Casa Luna has 1 queen bed and one single bed and one Casa Luna has one king sized bed and one single bed. When you step outside of your room you will enjoy our second floor wrap-around porch with hammocks and stunning views of the surrounding hills and mountains. Downstairs you will find one of our large open air dining and lounge area, with comfortable couches and chairs. Do not be surprised if a butterfly flutters by as you are eating dinner or enjoying a glass of wine, as the dining and lounge area is open. 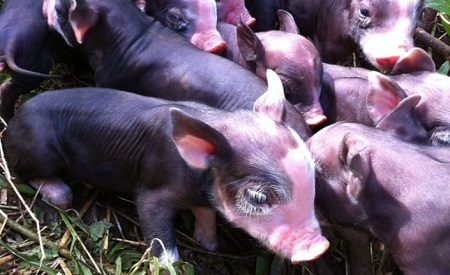 See what keeps our crops healthy, from our happy water buffalo to the wiggling worms in our compost. Begin by walking through our cacao orchard past our private reserve that is connected to the 50,000 acre Children's Eternal Rainforest via a biological corridor. Next, stroll through our biointensive garden, where you will taste numerous plants and herbs, the same ones we serve daily in our restaurant. After the garden you will see our pigs, goats, and chickens and learn how they contribute to the sustainability of the farm.